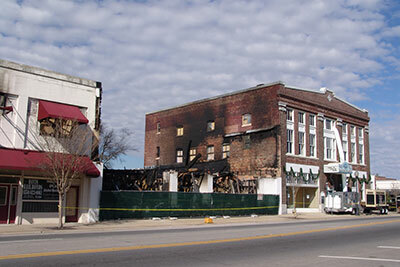 Almost 100 years to the day of the great Milton fire of 1909, another conflagration ripped through downtown Milton on the evening of January 6, 2009, destroying half a city block and badly damaging the iconic Imogene Theatre. 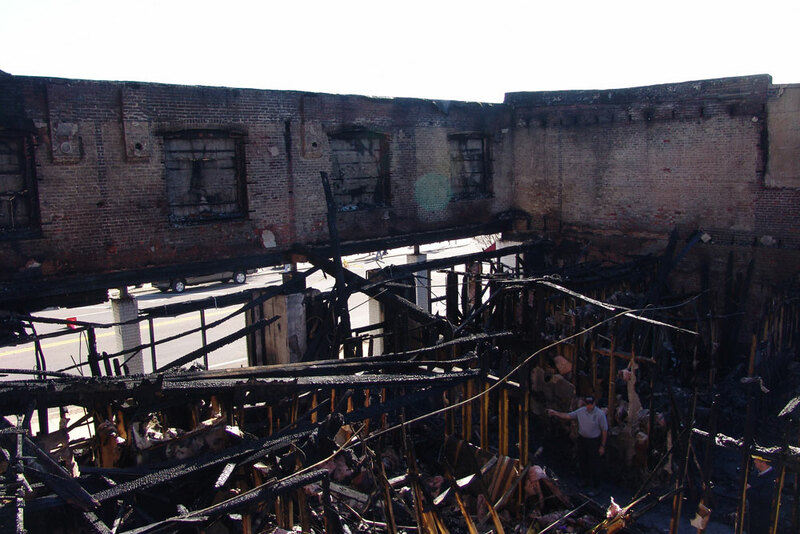 Thanks to the heroic efforts of over seven fire departments – who worked tirelessly through the night – the theatre was saved. 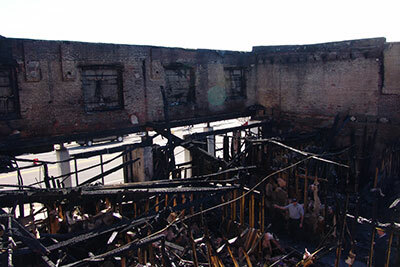 In addition to smoke and water damage, the flames had scorched the East side balcony. 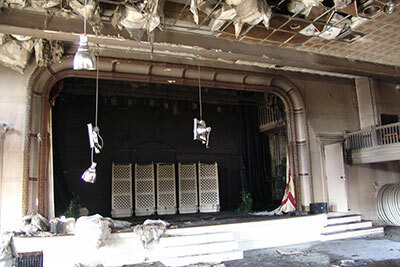 The heat from the fire had caused all plastic surfaces in the theatre, such as the exit signs, to completley melt away. As historical society members entered the theatre the morning after the fire, they found puddles of water on the oak dance floor amid scatterings of the drop ceiling panels and insulation. 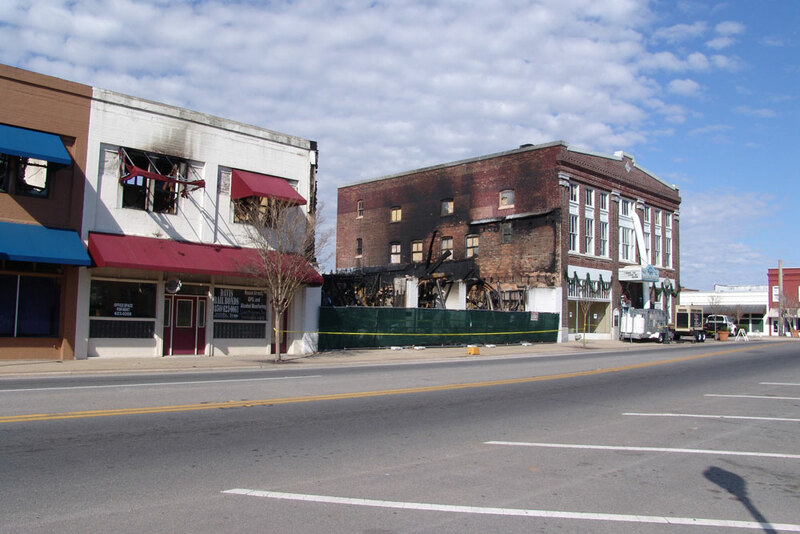 This was not the first time members had seen the grand dame of Caroline Street in such poor condition. 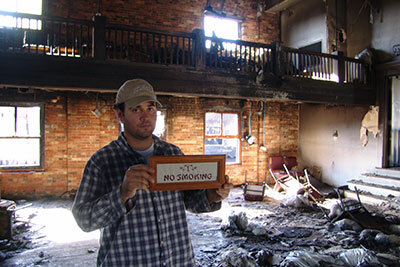 It was nearly 25 years earlier that many members first walked into the long abandoned theatre. The roof was failing. Piles of plaster lay on the floor caused by the cascade of rain water which had poured, unabated, down the interior walls for years. 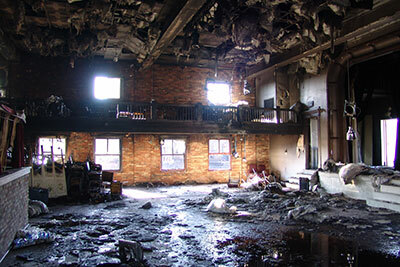 Bat guano littered the floor – the refuse of the theatre’s only guests which nested in the drafty rafters. 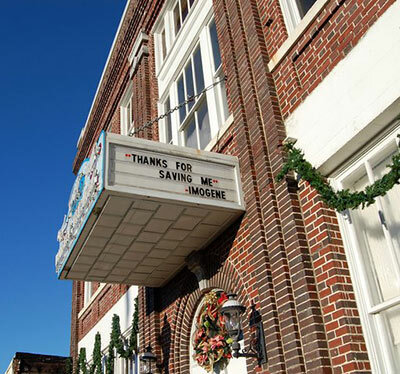 Slated for demolition, the Society bought the Imogene from the widow of the last man to run the theatre – Flemming – for the price of $30,000. With the help of two state preservation grants totaling $250,000, the Society worked for close to a year, on weekends, racking up hours of volunteer service to shovel plaster, clear debris, paint, repair, and renovate the old theatre. On October 12, 1986, the doors of the Imogene were again opened to the public and the din of laughter and applause rose to her lofty ceilings once more. 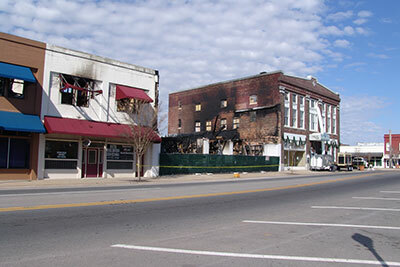 If the devastating fire of 2009 has given us any perspective its that: “blessings in disguise” take many strange forms. With the damage to the theatre came the opportunity to restore many of the historic finishes and details that had not been possible back in the 1986 due to lack of sufficient funds. 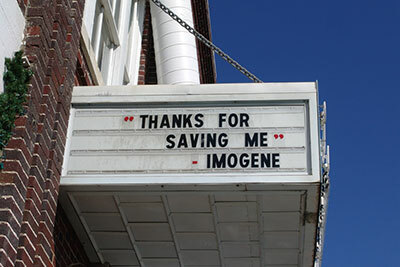 Imogene Theatre Reopening in 2012. Using the insurance money and careful budgeting. 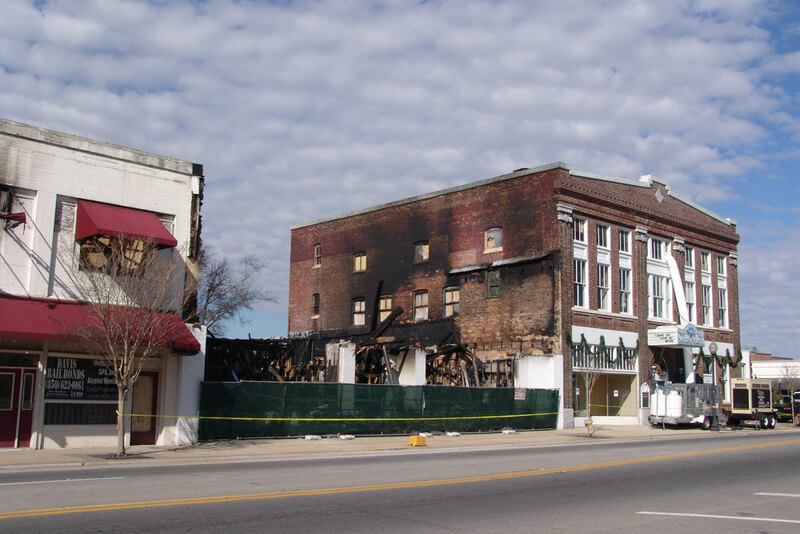 the Society – working with Architect Carter Quinna – was able to replaster the interior brick walls, restore the pine tongue & groove ceiling, and replace missing five panel doors. Soon, we will be installing historically appropriate pull-down window shades made from period accrue material. 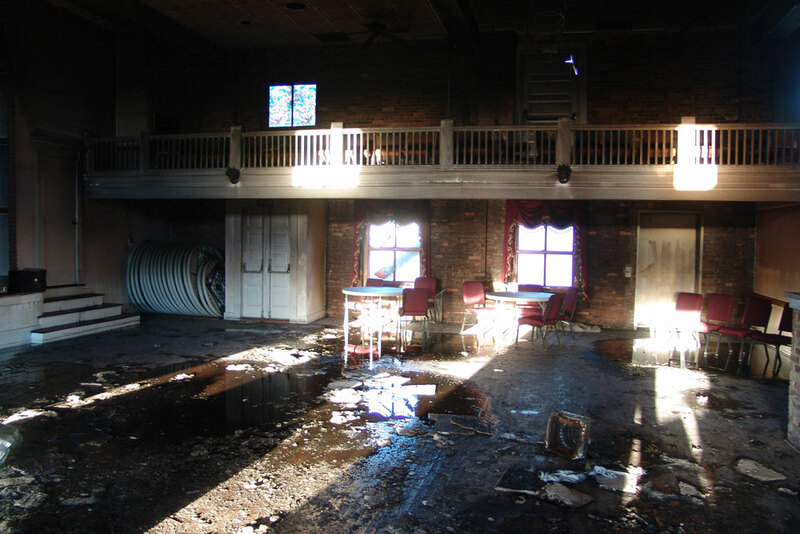 In the coming months we hope to complete the restoration of the theatre with historic touches such as better period lighting and an antique upright piano, as well as a modern projection system, movie screen, and light bar for stage productions. 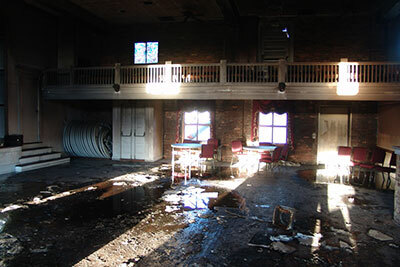 The downstairs parlor is not finished and the catering kitchen for events needs to be renovated. Perhaps one of the most significant events since the fire, has been the the Historical Society’s decision to purchase the property adjacent to the Imogene – the very property where the fire began. 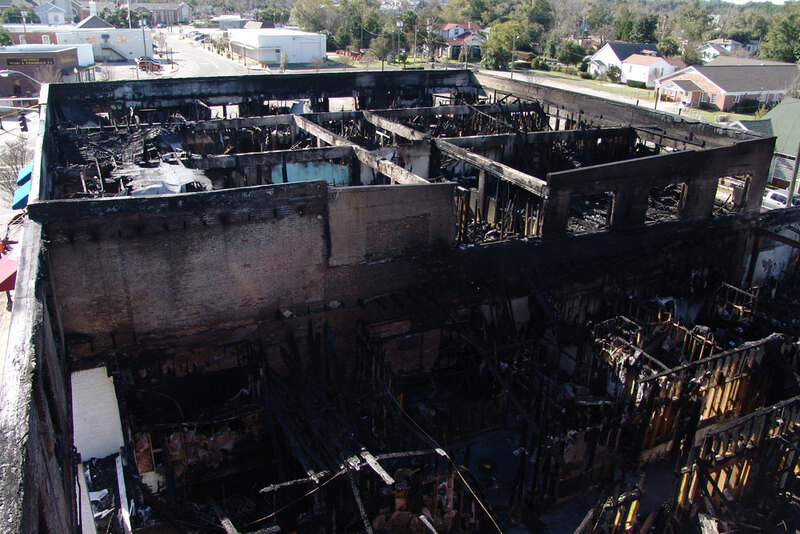 Looking towards the future, the Society bought the property with the intent of reconstructing the historic building that once stood there – to serve as expanded theatre facilities, offices, retail space, and a home to the Museum of Local History. Of course, such an ambitious project is not possible without the generous support of public & private donations. To help make all this a reality, please donate today! 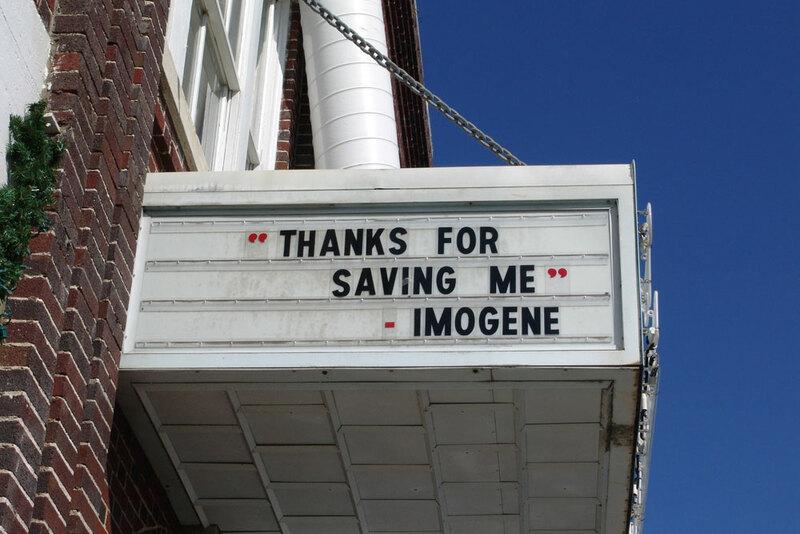 Looking for more History on the Imogene Theatre?